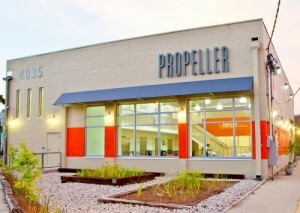 This special event takes place from 5:30 to 8:30 p.m. tonight at Propeller (4035 Washington Ave.) and will benefit Unity-1 as they rebuild their business. There will be a number of caterers at the event, including Fruit Wizard, Price is Right Catering, Chef Reggie, Simply Sandwiches, Sweet Legacy, New Orleans Seafood Connection, and Denise Catering. Bands will include Tyra Alexander and other local New Orleans musicians. The event begins with a patron reception form 5:30 to 6:30 p.m. The standard reception runs from 6:30 to 8:30 p.m. Standard tickets are $100, and patron tickets begin at $250. Find tickets and more information here.